Over the past decade, UK based-developer Traveller’s Tales (a.k.a. Tt Games a.k.a. “The LEGO Game” company) has been well known for and wildly successful at translating several iconic intellectual properties into smash-hit LEGO Universe franchises, with Star Wars, The Hobbit, Marvel Universe and DC Universe among them. 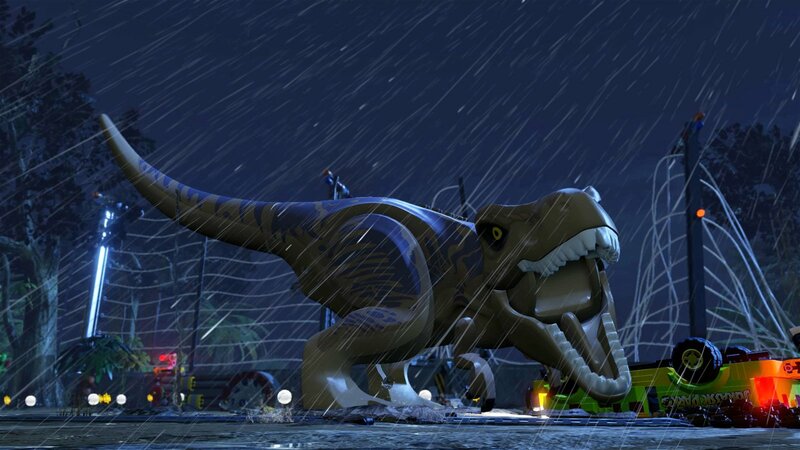 But TT Game’s most recent game, LEGO Jurassic World may be one of the most bold and ambitious projects the developer has attempted yet, as not only was it timed to coincide with the theatrical release of Jurassic World (often the development kiss of death for any movie-based game) but it also dares to encompass all four existing Jurassic Park films: Jurassic Park, Jurassic Park: The Lost World, Jurassic Park 3 and of course, Jurassic World. No easy feat for any developer, but then again, if there’s any studio that has a chance of pulling it off, it’s TT Games. So how did they fare? 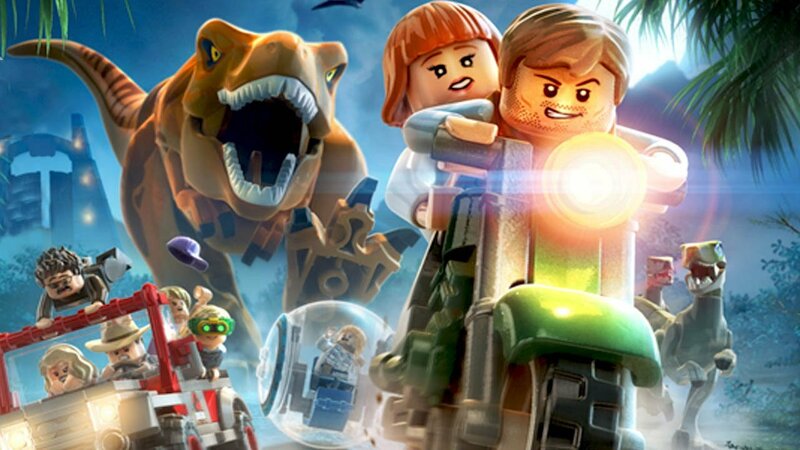 LEGO Jurassic World follows the same proven formula of many previous LEGO games. General progression through each of the game’s four campaigns involves solving one environmental puzzle after another, many of which can be only resolved by uncovering hidden LEGO pieces in the world in order to build outlandish contraptions that in turn surmount obstacles in the player’s way. The game features a cast of over 100 characters (the majority of which are unlocked through campaign play), including all the main protagonists, antagonists and dinosaurs (!) of each Jurassic Park film, and each main character or creature has two or three special abilities specific to them alone. In order to unravel the puzzles that lay before them, players need to utilize each character’s distinct abilities in concert by switching between them as the need arises, which can be accomplished in either solo or co-operative play. Once a chapter is completed, players can then revisit those levels in Free Play mode and uncover even more secret items, game modes and extras by using newly unlocked characters to solve puzzles that were inaccessible to them previously. As one would expect, there are also nearly limitless objects in each level to pulverize into LEGO 1×1 studs, which can be used as currency to unlock even more goodies, such as vehicles for getting around the park in to smash even more stuff. 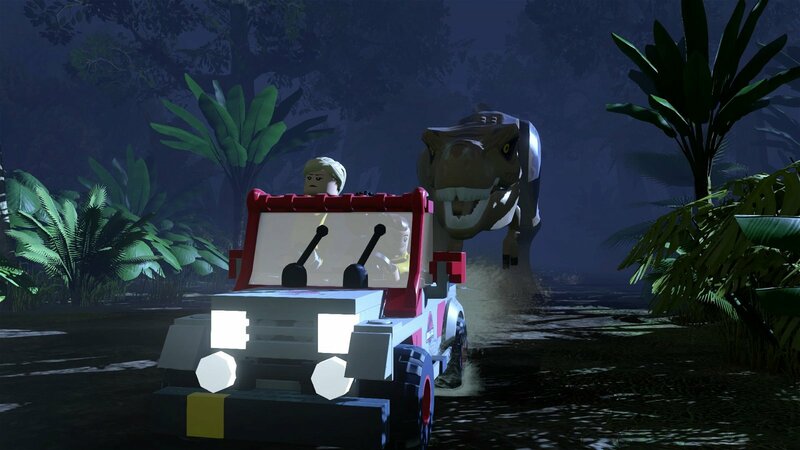 TT Games’ many years of experience translating movie properties to the LEGO game universe are very easy to appreciate in LEGO Jurassic World. Despite the simplified LEGO look, the visuals and colour palette are stunning and truly faithful to the look of the films. When coupled with the game’s equally faithful film audio and soundtrack, they are bound to hit long-time Jurassic Park fans in the heart with a huge shot of nostalgia. That said, interested gamers who have not seen one or more of the films beware; LEGO Jurassic World contains numerous huge spoilers, even though it takes several liberties with the plot for the sake of comedy. 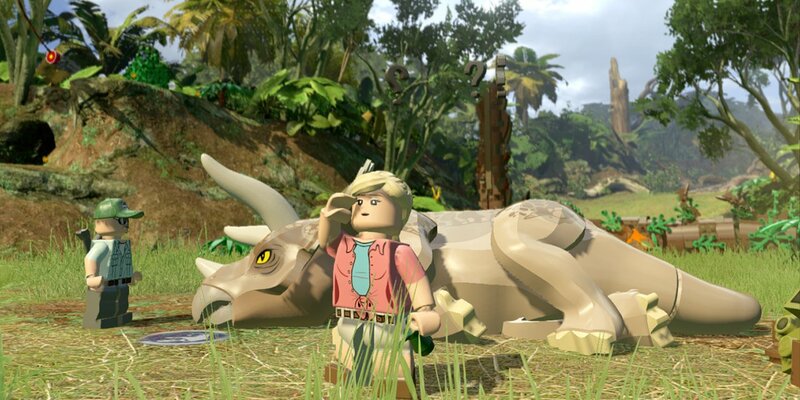 Surprisingly, for a movie-based game, there is very little that LEGO Jurassic World does wrong. In typical LEGO game fashion, it’s simple to play, requires very few buttons, and at most times, the game is great at teaching the player how to play without getting in the way. It even uses the animated character Mr. DNA from the first Jurassic Park to provide friendly guidance during load screens as well as in the field (another nice touch of fan-service players will experience throughout the game). Enjoying the game with a friend is a breeze thanks to local 2-player drop-in, drop-out co-op, and while there’s no online play it’s likely that PS4 players can get around this unfortunate flaw by using the console’s built-in Share Play feature. 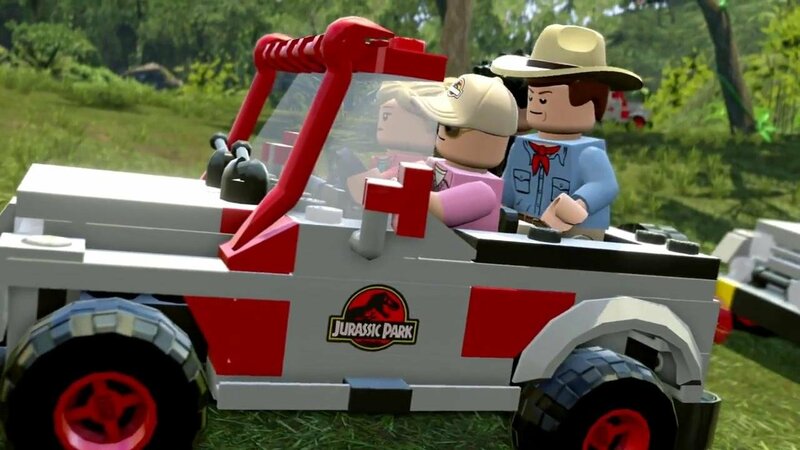 Coincidentally, co-op play is highly encouraged to get the most out of LEGO stud collecting as well as the game’s various film-based chase sequences (which can be unlocked and replayed on their own). There are just a few “mosquitoes in the amber” that mar the experience. Due to their age, the dialogue clips of the earlier films are not as clear as those of Jurassic World, coming across as muddy and at times easily drowned out by the far superior sound effects and soundtrack. Sadly, Ian Malcom’s hilariously bizarre mumbles and rants are among the most tragic victims. More troubling however is the game’s tendency to not honour its checkpoint save system when playing through a campaign, often ignoring the most recent manual save and loading a player’s game from the previous checkpoint, often making it necessary to replay an entire section of a level. It’s recommended that players play an entire campaign straight through to completion, or if they are playing on a PS4, to use the console’s “quick resume from standby” feature in order to continue the game from exactly where they left off in order to save time. 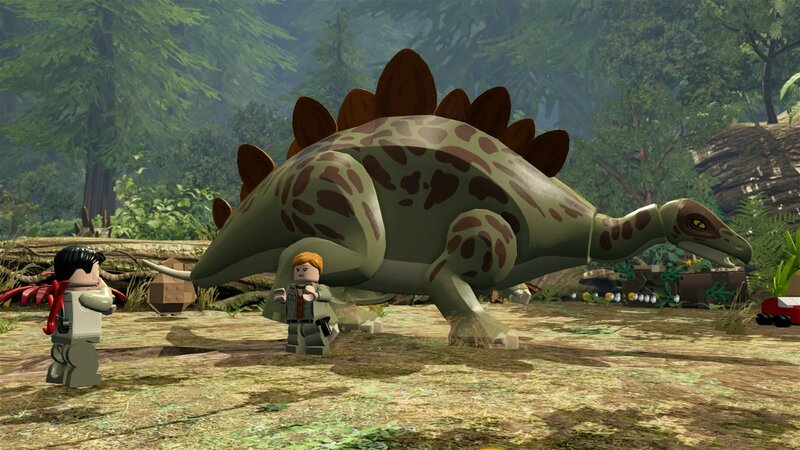 To conclude, LEGO Jurassic World is a fun, wild romp through the Jurassic Park films that not only lives up to their legacy and the expectations of fans but also those of TT Games’ LEGO franchise as a whole. It’s the perfect game for both the young and young-at-heart to re-experience the magic of those movies while making the darker sides of those films non-threatening for children, and if you don’t mind spoilers, it might also be the best way to introduce a young child to the aforementioned films. So after careful consideration, I’ve decided to endorse this park. 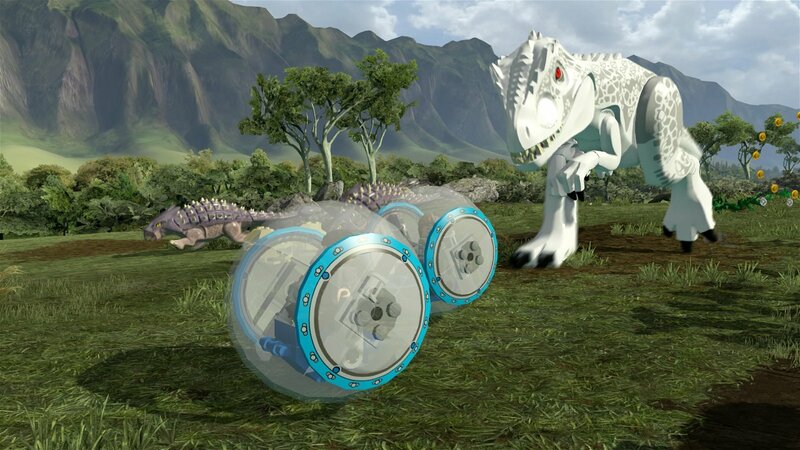 Look for Khari’s extended review of LEGO Jurassic World in the June 2015 issue of CGM. In typical LEGO game fashion, it’s simple to play, requires very few buttons, and at most times, the game is great at teaching the player how to play without getting in the way.